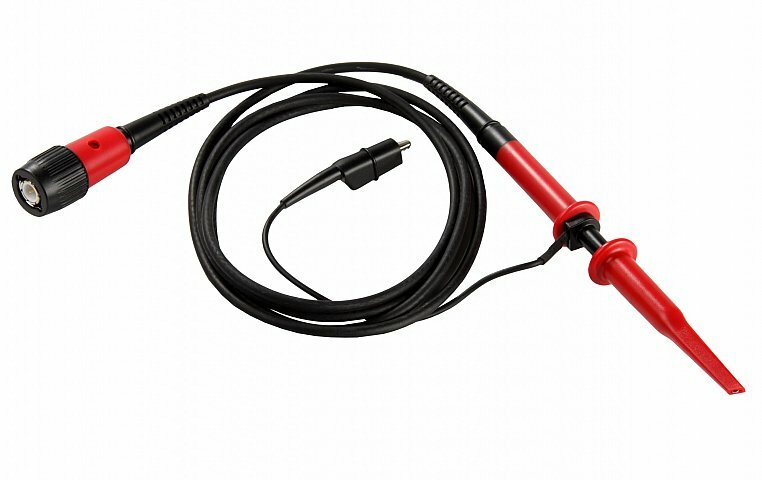 USB 2.0 oscilloscope, 10 bit, 100 MSa/s, 2 analog channels, External Trigger, 4M samples storage for each of the two analog and external trigger channels, comes with CS300 application software and 2 x CS1001 probe set. The front panel ground is continuous via the USB ground to the PC. 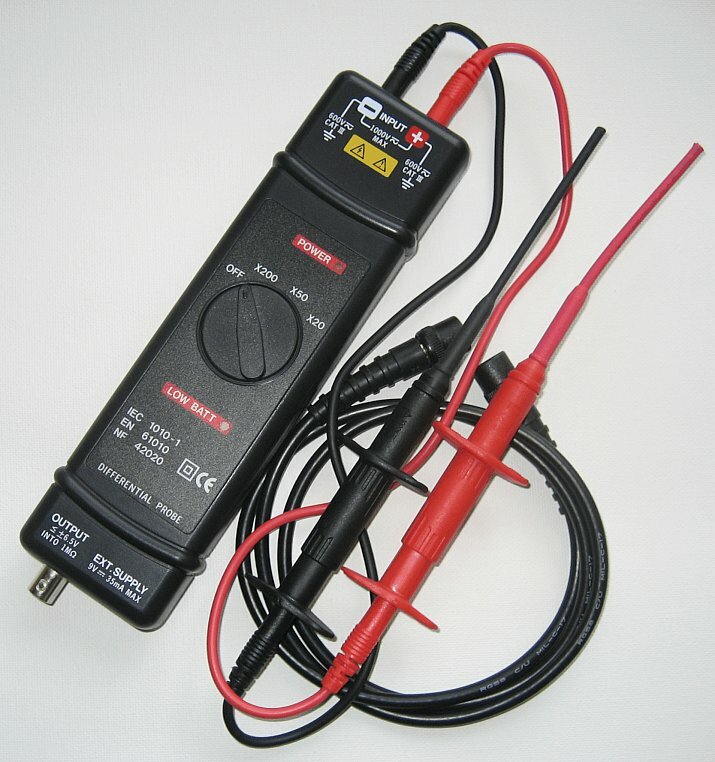 CS320A-FRA - USB 2.0 oscilloscope, 10 bit, 100 MSa/s, 2 analog channels, External Trigger, 4M samples storage for each of the two analog and external trigger channels. The CS701 Isolated Signal Generator (0-65 MHz isolated sine) is factory fitted and included in the price. You don't need an isolation transformer to do FRA with it. 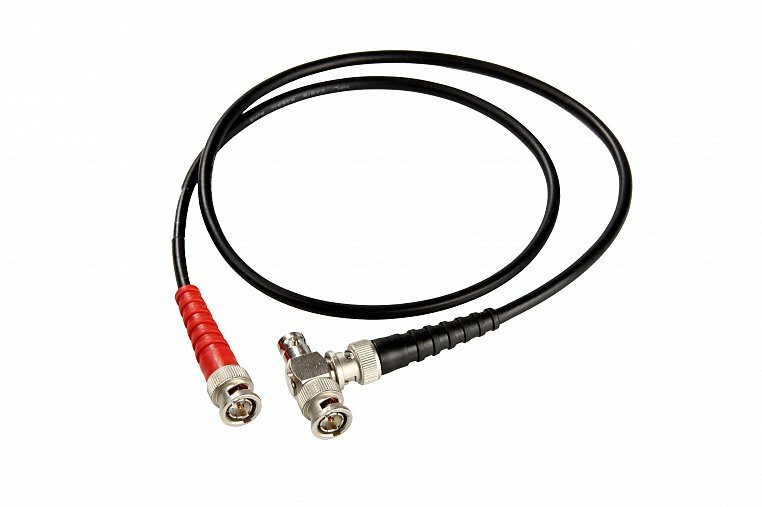 Comes with CS300 application software and 2 x CS1001 probe set. 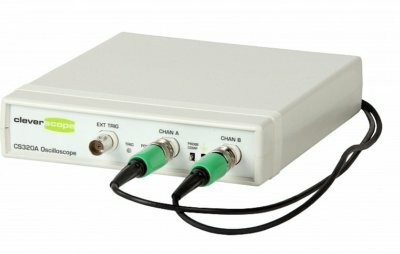 CS320A - Ethernet oscilloscope, 10 bit, 100 MSa/s, 2 analog channels, External Trigger, 4M samples storage for each of the two analog and external trigger channels, comes with CS300 application software and 2 x CS1001 probe set. The Ethernet interface is fully isolated from the PC. CS320A-FRA USB 2.0 oscilloscope, 10 bit, 100 MSa/s, 2 analog channels, External Trigger, 4M samples storage for each of the two analog and external trigger channels. 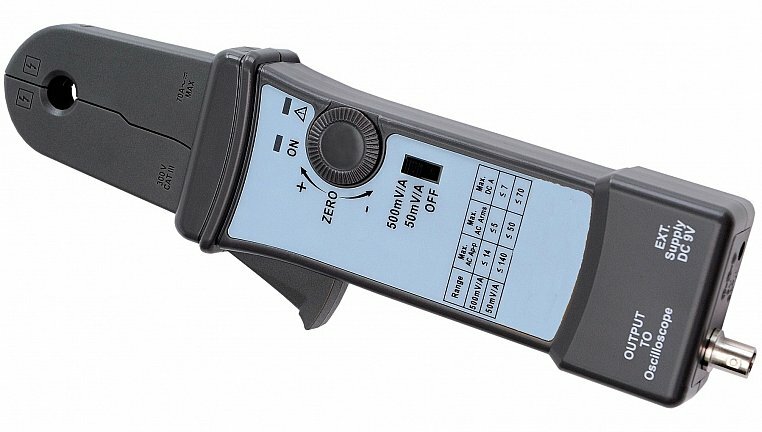 The CS701 Isolated Signal Generator (0-65 MHz isolated sine) is factory fitted and included in the price. You don't need an isolation transformer to do FRA with it. 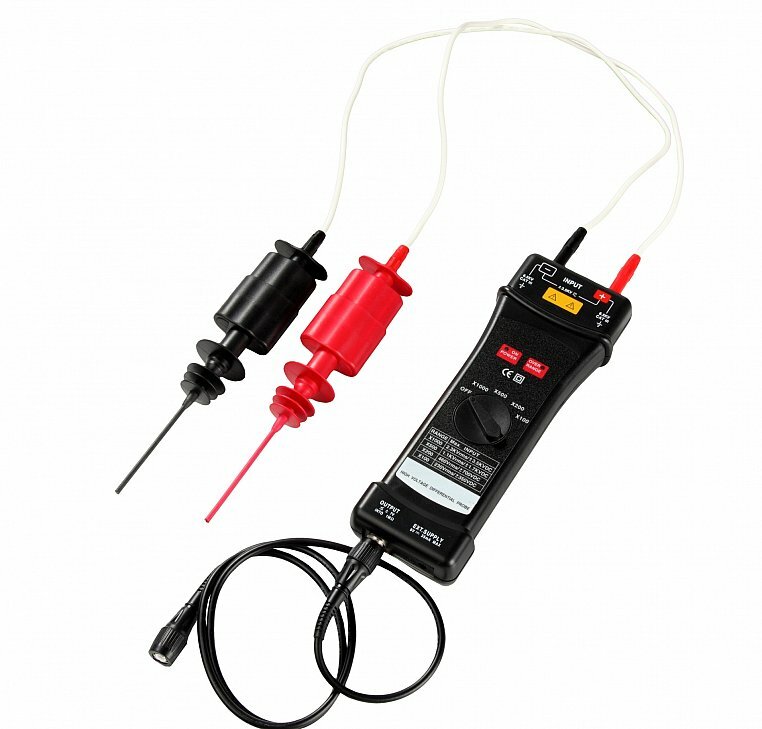 Comes with CS300 application software and 2 x CS1001 probe set. 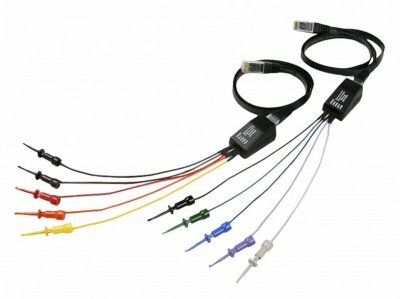 CS320A Ethernet oscilloscope, 10 bit, 100 MSa/s, 2 analog channels, External Trigger, 4M samples storage for each of the two analog and external trigger channels, comes with CS300 application software and 2 x CS1001 probe set. The Ethernet interface is fully isolated from the PC.